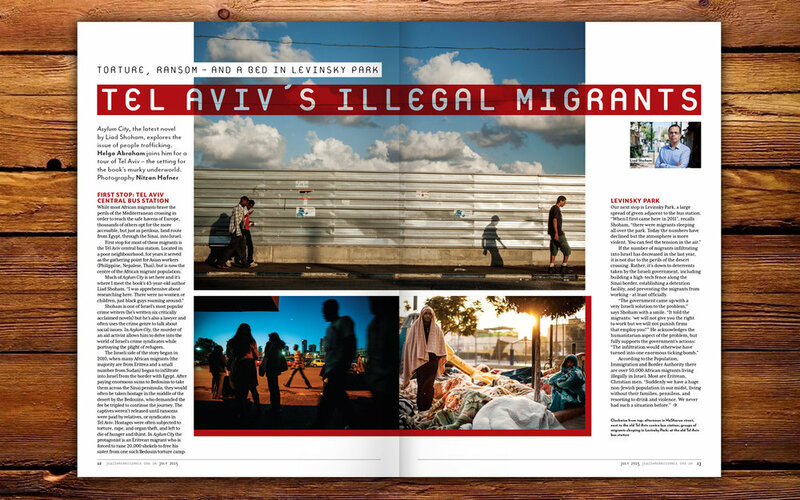 Discover the murky world of people smuggling in Tel Aviv in this issue. Plus Linda Grant discusses the legacy of Saul Bellow, and Jason Solomons speaks to Géza Röhrig, the star of the Cannes hit film Son of Saul. We also tour Portugal to uncover its secret Jewish communities and ancient archaeological finds, with a special piece on the Spanish and Portuguese communities in the UK. Plus we visit the Jews of Singapore; find out how the art of origami brought Jewish and Palestinian children together; compare kosher wines and read up on Jewish dogs! Agi Erdos bakes challah – and gives it away!